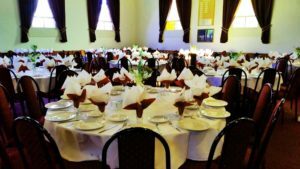 Our venue ‘Laconian House’ is a two level building with a new mezzanine level and an Australian Heritage exterior. 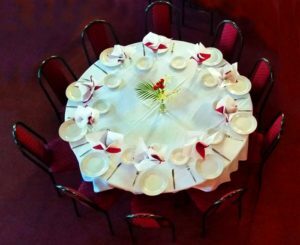 Laconian House is a venue well equipped to host dinner dances, cocktail parties, birthday parties, weddings, meetings and seminars. Located in peaceful Albert Street it is conveniently close to public transport via Sydney Road, with ample car parking available nearby. The interior has been subjected to a number of renovations to ensure environmental, Health and Safety concepts are maintained in accordance with legislation and local City Council Health by laws. Seating arrangements: Maximum 250 people.